Once it starts, ALS almost always continues to progress, disable and shorten the lives of its victims. Very rarely, a patient with a confirmed diagnosis of ALS gets better on validated ALS outcome measures. The ALS Reversals Program at the Duke ALS Clinic focuses on understanding these ALS reversals in order to replicate them in other patients. That’s why the funds raised by The LVH ALS Foundation support the ALS Reversals Program. 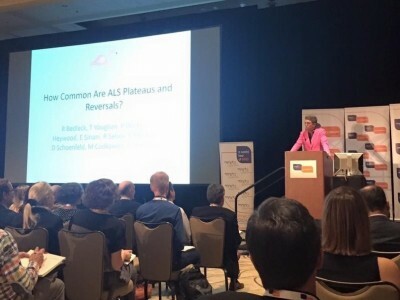 We believe ALS reversals will be the key to finding a cure. The LVH ALS Foundation has donated $250,000 to start a new research endowment within the Duke ALS Clinic. The LVH ALS Research Endowment will allow the Duke ALS Clinic to investigate therapies associated with “ALS Reversals,” cases where symptoms fade and motor function unexpectedly returns. The Endowment will also be used to investigate other potential causes of these reversals, from unknown mimic syndromes, to an individual patient’s genetics, to environmental exposures. The original generous grant from The LVH ALS Foundation continues to fund novel and exciting research in the Duke ALS Reversals Program. There are 2 arms to this: St.A.R. (Study of ALS Reversals) and R.O.A.R. (Replication of ALS Reversals). Significant progress was made in both arms this year. In St.A.R. we solicited medical records from patients around the world that reported experiencing an ALS Reversal; we were able to validate 22 of these. For the first time these records are being entered into a common data base so we can determine what might be different about these patients in terms of demographics, concomitant medications and past medical history. This work was also selected for an article (How common are ALS plateaus and reversals?) in the highly competitive peer-reviewed journal Neurology and was expedited to publication. 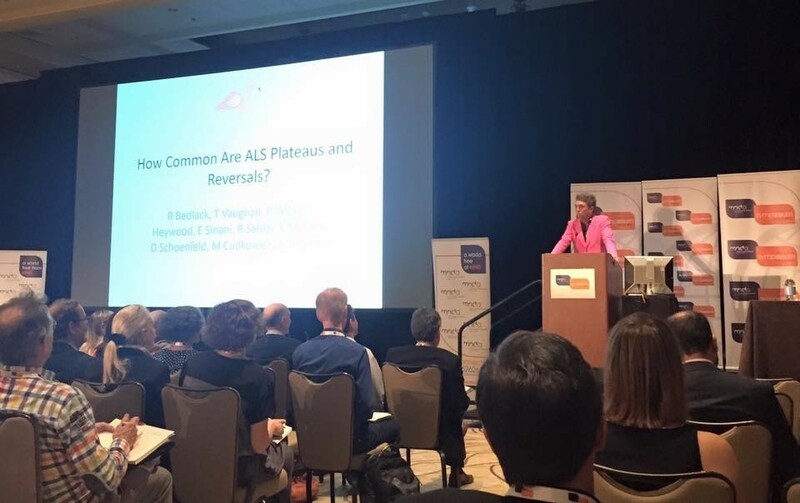 In 2016, based on feedback from peers who attended the talk and/or read the paper, we will continue to refine our working definition of an ALS Reversal. We will also begin to collect blood on ALS Reversals to study their antibody profiles and genetics. In the R.O.A.R. Program we will conduct small pilot trials, testing things that patients were using when they experienced an ALS Reversal. The first thing we will test is a supplement from soybeans called Lunasin. The mechanism of action, and the patient who had an ALS Reversal on Lunasin, are described in ALSUntangled No. 26: Lunasin. In 2015, we finished the R.O.A.R. Lunasin protocol and contracted with partners at Mass General Hospital and PatientsLikeMe who will assist us with this study. We presented a poster on the protocol at the International Symposium on Motor Neuron Disease on December 11, 2015. We applied for and were granted an Investigational New Drug (IND) Approval by the FDA for the protocol and are currently awaiting Duke IRB approval. We expect to receive this and start enrolling patients in January 2016. December 2015 – MND Research Blog – Article – Can the progression of MND pause or reverse?